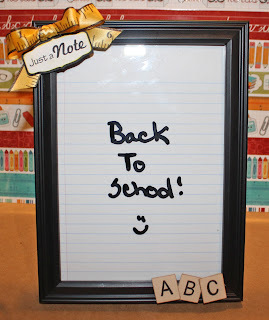 It's a dry erase board - a teacher gift that I made for both my girls teachers. 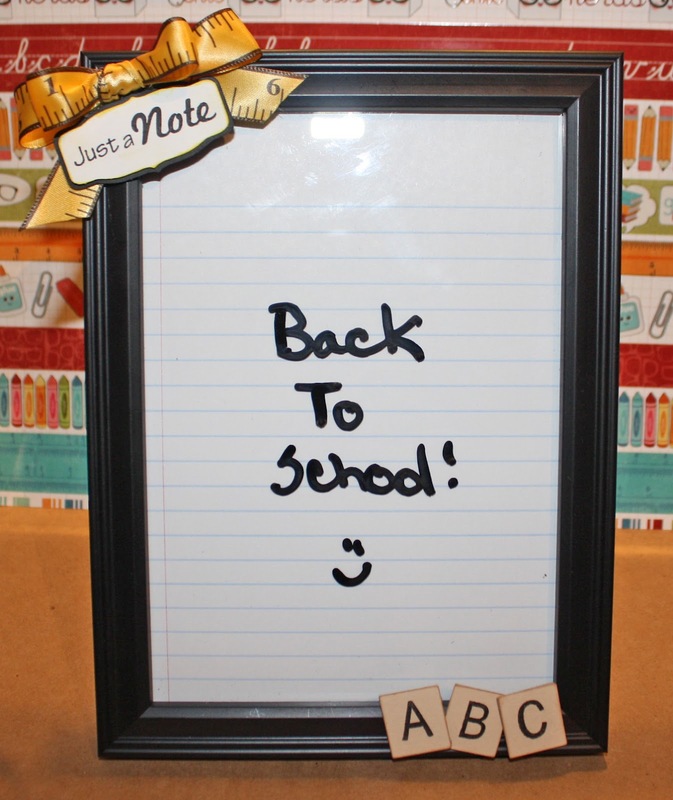 I included a dry erase pen - not shown - that way they can use it right away! I used ruler print ribbon (that I've had in my stash forever!) to make the bow. The tag shape is from Once Upon a Princess - I just made the one slightly larger for the shadow. "Just a Note" is from Scrappy Moms Stamps The Charmed Life set. For the A,B,C blocks at the bottom I used SMS Alphabet Soup stamp set and Alphabet Soup die. I used the die to cut 2 layers - one of cardboard and one of cardstock so they would be sturdy. I masked off the numbers on the stamps so that only the letters would stamp. I use hot glue to adhere everything to the black 5x7 picture frame (from Target). 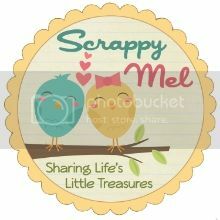 I hope you enjoyed my project for today - come join us and link up your Back to School project for a chance to win a Scrappy Moms Stamps set of your choice!